My Morning Glories always make my day when I’m in my garden. Their colors are so pretty. 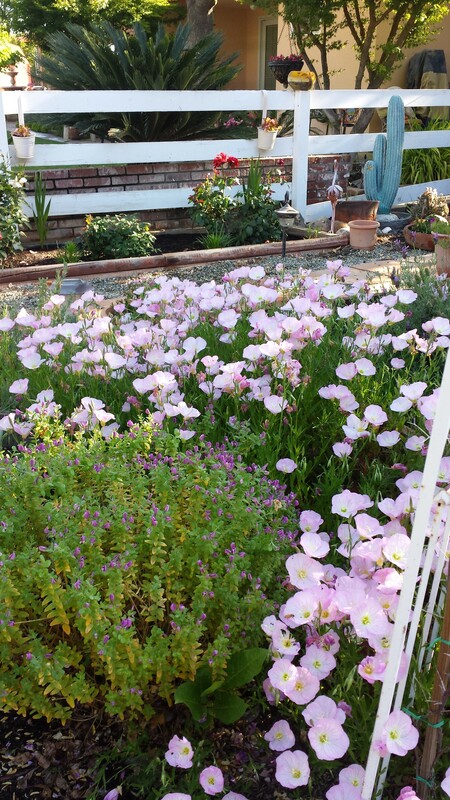 I remember when I first planted them I was so excited when they first bloomed. Now I am finding them sprouting all around Mi Ranchito, as is my Mexican Primrose, which is very annoying. Giving them up is not a choice only because they are so easy to grow and provide some awesome color and they survive our triple digit temperatures. My winter flowers. One of the Paper White Flowers has it’s own little face which is a little scary. Some of my plants are still showing some blooms although they suffered through one of the hottest summers we’ve had here in the valley, and they also had to deal with our polluted air filled with smoke from all the California wild fires. I’m loving the pink and blue. Some of my roses continue to bloom and continue to receive visitors. Right now we are enjoying some beautiful autumn weather which will make it possible for me to get out there and do some cleaning in my rustic garden. Work day in the garden. Today we will work in our garden. Tomatoes need staking, and some weeding. But first I just want to say I’m so pleased with all my flowers that keep popping up and giving us some beautiful visual rewards. My Mexican Primrose makes for good picture taking, although very invasive. 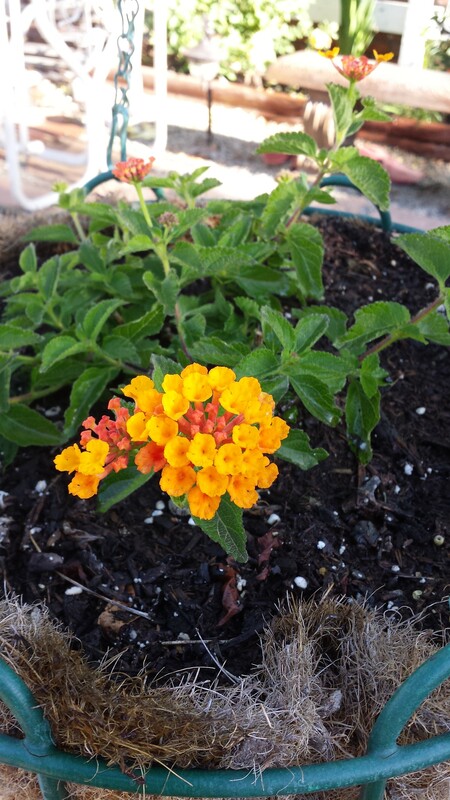 The Lantana is growing strong and my butterfly bush will soon show us some color. 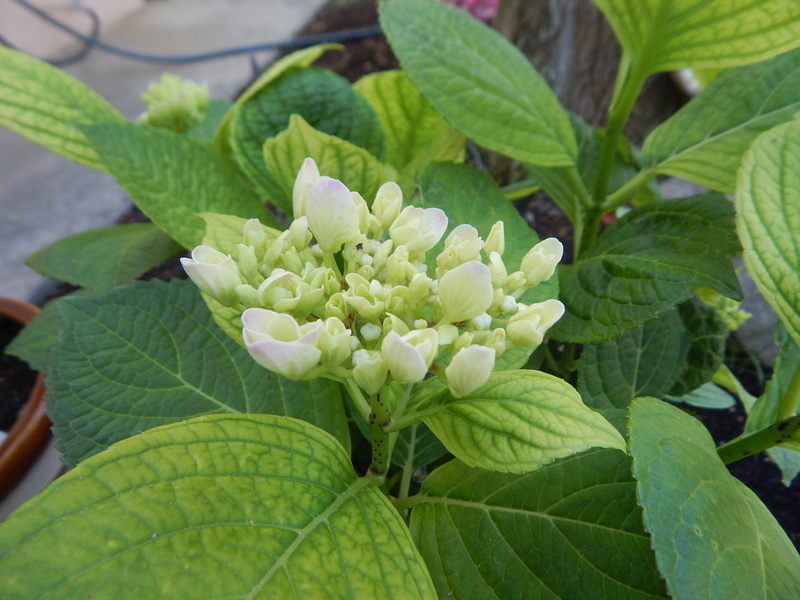 I’m amazed that my Hydrangea survived a whole year and is ready to show off it’s blooms. 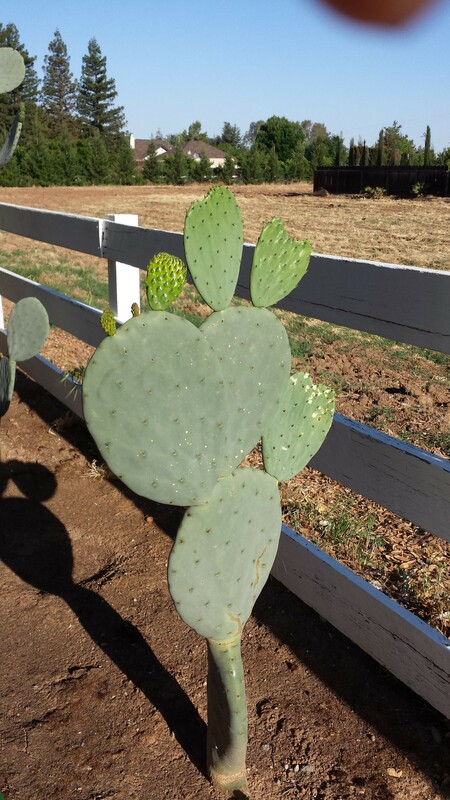 Even the tender paddles of nopales are ready to be used in Mexican cooking, well, not by me, but my sister-in-law loves to come over and get some to use in her cooking.